Bob Barringer has been the Director of the Schultz-Holmes Memorial Library in Blissfield, Michigan since May 2006. Before then, he taught English at several second-rate institutions of higher learning in Texas, Colorado, and Idaho, as well as Michigan, where he continues to teach part-time. Bob holds a PhD in English and American Literature. He lives with his wife, Carman Curton, a professor of English at Adrian College, his son,Dallas, a sixth-grader in the Blissfield Community Schools, and a cat, Emmitt, about whom Bob knows little else, despite having lived with him for more than 16 years. Natalie Bazan has been the director of the Hopkins District Library for just under a year and a half. Using her bacholer’s degrees from Grand Valley State University, the University of Kansas and the University of Illinois at Urbana-Champaign, she has been working to make this tiny library in rural Allegan County, Michigan a fun, new and exciting place. 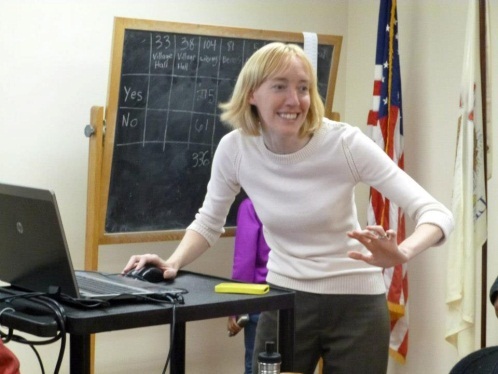 She is passionate about connecting her community through technology, education and entertainment at the library, trying new ideas, and working with as many diverse groups as possible. Miranda Brumbaugh began volunteering as the story time coordinator at the Platte Public Library in South Dakota in 2010, and was hired as a librarian in 2011. 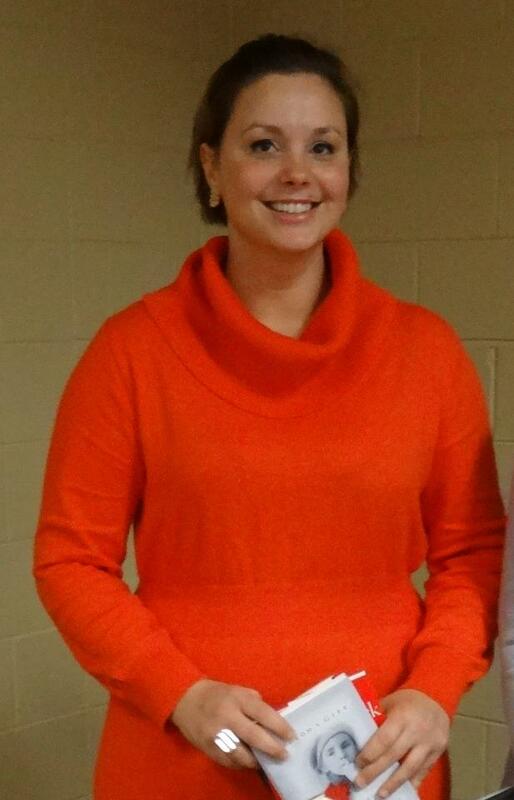 In addition to working at the front desk, she is the story time coordinator, preschool coordinator for the summer reading program, and book club discussion leader. Miranda maintains the library’s blog and Facebook page, and she is the go-to person for patrons with questions regarding the library eBook lending program. When she’s not at the library or chasing her 4-year-old son, Miranda writes professionally with a focus on web content and a passion for fiction. Wendy Brunnemann is the Head Librarian of Wall Community Library in Wall, South Dakota. She has no formal degrees in Library Studies, instead has an MA in Anthropology and a BA in Elementary Education. She has worked as an archaeologist, a park manager, a college professor, and an elementary school teacher in a one-room schoolhouse. Of all her job experiences, being a librarian is her all time favorite! 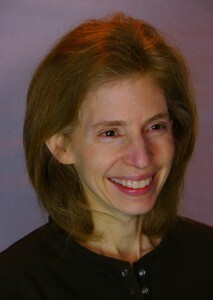 Melissa Gardner became the Executive Director of the Broadview Public Library in 2011. Mrs. Gardner came to Broadview from neighboring Berkeley Library where she served as Director for 3 years. 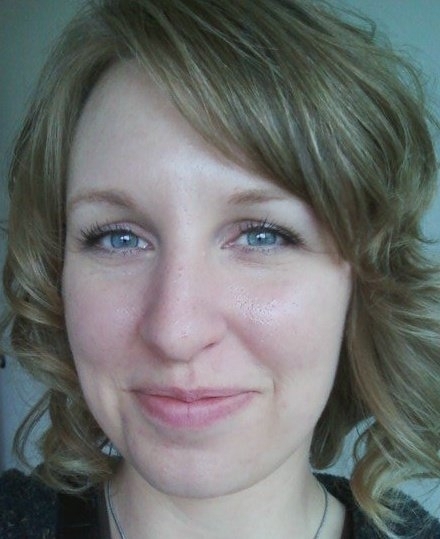 Having worked in libraries for over 15 years Melissa has worked for a number of Libraries both big and small including the Newberry Library, the Chicago Public Library and the Glenwood-Lynwood Library District where she also worked on a building project. In addition to running the Library Melissa spends her time running after her two rambunctious boys’ ages 3 and 4. Peggy Johansen has been the director of the Livingston Manor Free Library since 2007 and a Manor Ink mentor since February, 2012. 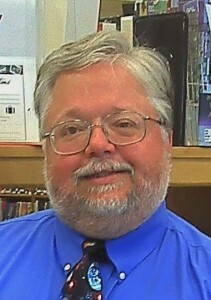 Bob Jones has been Library Director in Milton-Freewater, Oregon since 1992. He began his library career as Adult Services Librarian at the Weatherford (TX) Public Library (1977-87), moved on to be Acquisitions Librarian at the College of the Bahamas Library in Nassau (1987-89), then was Acquisitions Unit Manager at the Fort Worth Public Library (1989-92) before moving to Oregon. 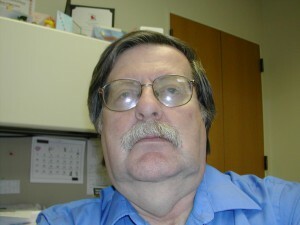 He earned a BA in English from the University of Dubuque in 1970, followed by two degrees from Eastern Illinois University – MSLS (1978) and MA in English (1979). 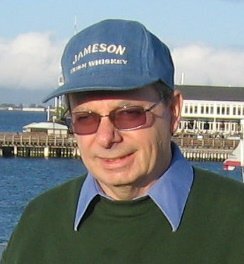 He went on to earn a CAS from the Library School at the University of North Texas in 1982. Equally important to his presentation for this conference, he worked as a DJ on two college radio stations, WGVU (Dubuque) and WELH (Eastern Illinois). Oldies Night @ The Library debuted in January 2006 and is now in its eighth year. 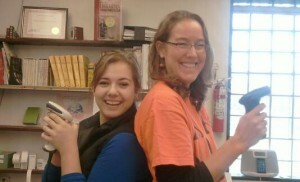 Karen Lemke is the Public Relations/ Programming Coordinator at the Pine River Library in Bayfield, Colorado. She is also currently pursuing her Master’s in Information and Library Science (MLIS) degree at Clarion University. 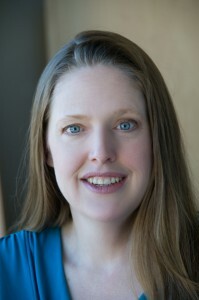 Amy K Marshall is the director of The Craig Public Library on Prince of Wales Island in Alaska, a position she’s held since 2010. 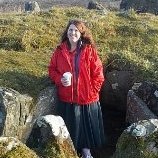 She has been an archaeologist, curator, and Copper Basin 300 and Yukon Quest Sled Dog Race project and logistics coordinator (really! ), among many other things. She holds a B.A. in Medieval Archaeology from the State University of New York and an M.A. in Maritime History/Nautical Archaeology from East Carolina University. She grew up in libraries and was the Archivist for the U.S. Coast Guard in the 1990s. Wow…the 1990s … She does not, however, feel old enough to have done that. She also has a husband and two teenage children, so she knows she’s old enough to have done, well… that. 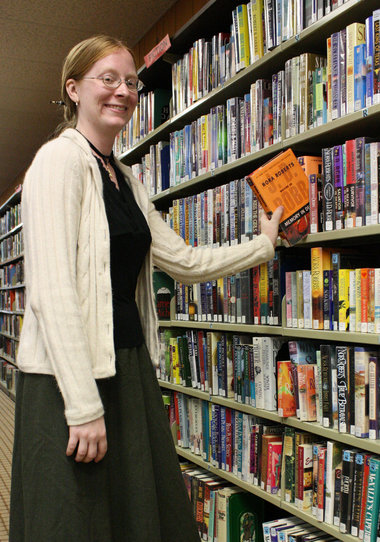 Odessa Meyer has been the children’s librarian at the South Sioux City Public Library for 3½ years. 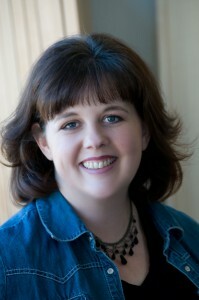 She was recently awarded the Houchen Bindery Beginning Professional Award by the NMRT, for 2012. David Mixdorf has been the director at the South Sioux City Public Library for 3½ years. He brings a wide variety of hobbies and talents to the library. Lee Schauer is the Director of the Rock Springs Public Library in Rock Springs, Wisconsin. It is a wonderful little library that is kept very current. She doesn’t have a photo of herself to share, but, as you can see, she has a thing about Ryan Gosling memes and is willing to share. Libbi Sykora is the assistant librarian of Wall Community Library in Wall, SD. She is currently a senior in high school doing work study at this local library. Next year she plans to attend Black Hills State University in Spearfish, SD and major in high school mathematics education. I was born in Italy and begun to study Yoga when I was 19 years old, way before any yoga fad took hold around the world. Yoga has always been present in my life, in a form or another, since my childhood. I do not have a yoga teaching diploma. Due to the location where I live I never had the opportunity to get one. I have met people from all over the world who have enriched my practice. I recall with fondness a student from Nepal who thought me chakra opening breathing exercises and a meditation practitioner who helped me to refine my meditative techniques. Two years ago I became more interested in integrating chakra healing and meditation into the practice. Elizabeth vonTauffkirchen is Head of Children’s Services and IT at Pine River Library. While I have lived in the Midwest since 1995 I am an East Coast girl at heart. I am a mom of four children who has always believed reading to your children from a young age helps them become better students. I was an avid reader from a very young age. One of the first books I read was the Hobbit which left a lasting mark on me and started my love of books. I am very interested in ancient history such as Ancient Egypt and Greece. I have done a presentation on Alexander the Great at our local Elementary school. I was hired in August 2012 to take over as librarian at the Dorothee Pike Memorial Library. Even though I have only been a librarian for a short time I am passionate about my job. I have spent a lot of time changing things around in my library to make things easier for our patrons. I am very good with computers and the internet and have combined that with helping my library to become more efficient and current with today’s technology. Just because a library is small does not mean it is behind, we can keep up with technology like the bigger libraries!